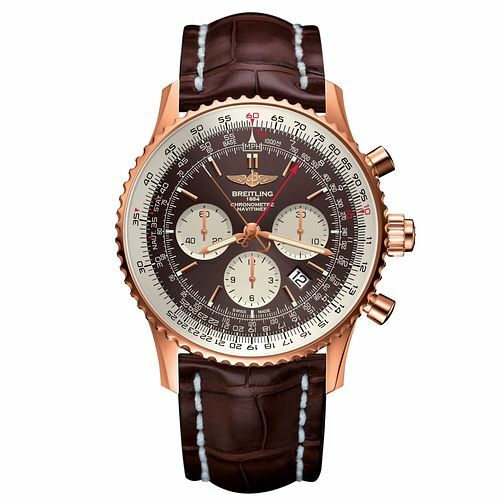 An epitome of precision, this meticulously crafted timepiece from Breitling represents the pinnacle of professional timekeeping with a distinctly rich and earthy colour tones that embellish the piece with sophistication. Three subdials allow you to track subdivisions of time. The dial is carefully marked with five second increments and a tachymetre to help measure speed and a date aperture to help track the days. The Chronometer function allows the movement to stay precise even in areas of higher magnetism for an exquisite luxury Swiss watch that is marked by its excellence and attention to detail.